It’s here. The time has finally arrived. In a few months I will celebrate the 40 year mark in life and oh what a life it has been. Just last weekend this idea for a blog came to my mind. Of course my blog is about life and not letting it pass you by and it’s about celebrating the great things that come our way whether big or small. So I didn’t win the Powerball billions, but I sure feel like I have won in many other ways and parts of my life. “Celebrating 40” is going to be sort of like my version of Oprah’s “What I Know For Sure” at least what I think I know, kind of, at the age of 40. What I do know for sure is that I’m glad I’m not 23, friendship is awesome, and I have a life Well Traveled. Last weekend a couple friends and I jumped in the car and drove to Bloomington, Indiana, because, why not? Two of us had never been there and we had the time and freedom to do it, so why not? A couple of “What I Know For Sure” moments happened very organically which made me want to write this bog. At the end of the night, we found ourselves at the local Bloomington club/gay bar filled with early 20 somethings dancing and it was definitely the place to dance. We walked in to Beyonce, which transitioned to “Girls Just Want To Have Fun” which transitioned to other 80s and 90s pop. None of us even made a move to the bar for a cocktail, we had had enough. All we wanted to do was dance, and dance we did, for 2 hours until 2 a.m. What is so incredible to me is that at first I thought, “these kids weren’t even blips on the reproductive radar when Cyndi was singing ‘Oh daddy dear you know you’re still number one, and girls they want to have fu-uuun, Oh girls just want to have fun,'” but they were out there dancing and so were we. 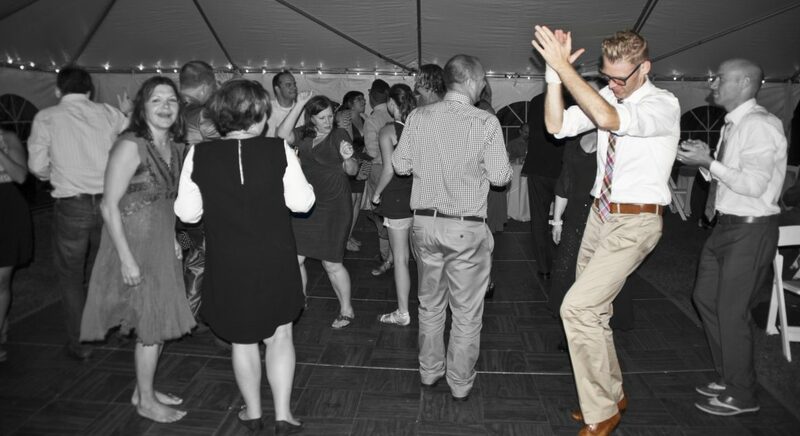 Patrick danced so much it was like he had just walked out of the lake in his clothes. I just kept looking around thinking how fun it was to be dancing, first of all, and then not giving a care in the world what these kids were probably thinking, like, “who are these old people dancing their fool heads off?” #sorrynotsorry #dontcare #im39 #respect I always have been a dancer at a bar with good music, but what is different now is that I don’t have this sense of looking around and wondering what others are thinking(but have I ever really?-Probably not). I was having fun, so it did not matter. Years ago that wouldn’t have been the case. So with age does come some confidence, some assurance, and a sense of not really caring what others think. It was just so much fun. I often do think, more recently, “Thank god I’m not 22.” I had so much fun back then and I’m sure these kids were having fun too, but man, almost 40 is kind of awesome, I must say. Earlier in the evening I had the great pleasure of spending time with some of my friend Sarah’s friends from her time at Indiana University. What I know for sure is that, if you have really good, unique, cool, interesting, well traveled, experienced friends, they also have really cool friends who they introduce you to and within minutes you’re having deep, philosophical conversations. Well, that might be because one of the friends is a college professor, regardless, there is an ease to really wonderful conversation. There is something really nice about drinking great wine, eating delicious food and connecting with people you have never met before. I guess I don’t really have anything profound to say, more just reflecting that I’ve spent a great many years meeting and spending time with some pretty cool, fascinating, crazy(in all the good ways), and crazy(in all the bad ways)people who have introduced me to cool, fascinating, crazy and crazy other people. So with time I can for sure say, I’m glad I’m not 23 again because I’ve had 16 amazing years meeting all these crazy cool people. Ok, and then there are those moments when you just bust out laughing and you pee in your pants a little because something is so funny. My mom would say, “That struck me funny.” On Sunday it is safe to say we all needed a few Advil. Whether it was for a headache due to drinking too much or aching muscles due to dancing all night, that doesn’t matter, we had a 4 hour drive ahead of us. When we stopped on the road I got a Starbucks jasmine mint tea. It was delicious. I always use my tea bags twice. Maybe it is a secret single behavior or I’m living in the depression, regardless, you can get two good uses out of tea bags(all you dirty minded people stop right there!). As we were cleaning out the car I said, “I’ll keep this.” It was my cup with my tea bags. Patrick and Sarah questioned. I said, “I like to use them twice and this was particularly delicious.” Without hesitation Sarah says, “Well Patrick and I can chip in to get you a box of tea bags girl!” We laughed and laughed and laughed in the middle of the street. Well girl, I’m not poor, so I don’t need you to buy me tea bags, but what I do need you to do is keep being my friend. What I know for sure as I Celebrate 40 is that friendships have been the single greatest part of my life. Friendships have gotten me through so many tough times and have made the fun times even better. Good lord who would ever want to be in middle school again? Not me, but having friends made it bearable. Having friends who served you Blue Maui and pineapple juice cocktails freshman year of college, yeah you’re right, that isn’t a friend. I’m lucky that I have friends from as far back as age 4 to new ones as of last weekend who are really incredible, cool people. They make my life experience that much better.